- Language filter: Filter gays that speak your same language. - LGBT & Gay Chat: Public channels are coming soon. - Community: Earn popularity points by making new gay friends. 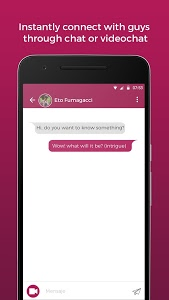 Remember, videochat and text messaging in lollipop is always free. - Live video cam (Broadcasting and Streaming): Featuring gay pride festivals, events, also gay influencers and celebrities. 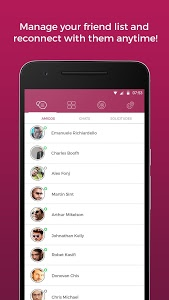 Similar to "Lollipop - Gay Video Chat & Gay Dating for Men"